Keeping yourself out of debt is not easy. Saving money might seem like a piece of cake but managing your debts requires a strategy and a workable plan. You will find lots of things that attract you towards unnecessary expenses like recreational activities, impulse buys etc, and if you don’t have a control over it, then you might end up sliding into debt. Money is the most important factor that controls our daily deal with the amenities of life. You need an adequate monetary income for your present and some savings for the future. The main factor that plays a role to have a healthy balance between your monetary flows is money management, which will help to create a handful savings for your future. 1. Create a Budget with goals but know your numbers as well! Creating your own budget is an essential factor that will give you clarity to manage your finances. So, how to create a budget? List down your life goals like buying a home or a car, a holiday plan etc. Divide the goals based on priority as: short & long term goals. Now that you have a budget with a amount set for each category, you will have the exact figures to save on a monthly or yearly basis. Sounds a little weird? Many of the credit card holders have lost the peace of their life for the improper handling of credit cards. 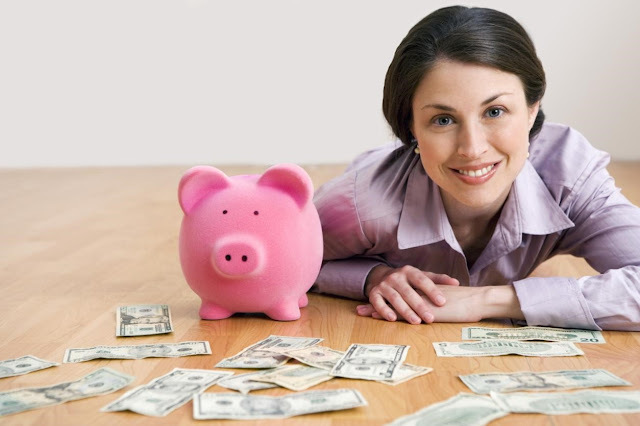 It is important to spend only the amount which you can pay-off in a month or two. Else, you will end up paying for huge interests. i. Optimize the usage of credit cards: You have to control your shopping habits and the usage of credit cards as well, rather use debit cards for all possible purchases. ii. Go for cash: Try to use cash for all purchases so that you will have a track of your expenses. iii. Use when it calls for emergency: Use it when it is utmost necessary but before you swipe your credit card, think if you could pay off the amount within the first month. iv. Beware of the interest rates: If you keep the amount unpaid for few months, it will destroy your budget with several additional interests and charges on unpaid amounts. v. Offers & deals: Watch out for the fake deals that might end you up in huge dues. Do not accept offers from every credit service provider and glance through every terms & conditions before you opt for one. There might be hidden clauses on interest rates and the dues which you will not notice and pay for it later. Try to grab as much offers and deals as possible. This will help you to save some extra money on your groceries. Go for seasonal fruits & veggies as it is both healthy and less expensive. Change is actually good but not that easy. You might be adapted towards the way you do things such as your shopping habits and if you are willing to change a few things, then you will see fruitful results. It is important to know in detail about your expenses and savings. This will give you an insight of where you can cut down your expenses and where to save more. One key step to keep yourself out of debt is to organize your bills. You might be baffled that how can organizing your bill payments help to keep you out of debt. Actually, it does. Organize your bill payments by listing as – paid, unpaid, to be paid urgently etc. It gives you a workable plan to manage your bill payments and thus keep you out of debts since you would have cleared all dues by following your plan. You can even set a reminder in your cell phone or laptop to clear bills. There is an option of automatic payment which you can opt, for the regular bills. When you pay your bills on time and you have some savings on a regular basis, it gives you a sense of accomplishment. It all depends on you to manage your finances well to enjoy the positive outcome. Hope you will embrace these 5 money habits and keep a track of your payments & dues to keep yourself out of debt.